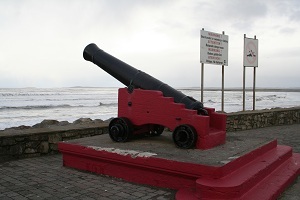 Sligo Airport is situated in the beautiful seaside resort of Strandhill, approx 8 km from Sligo Town. Strandhill has many attractions including miles of sand dunes and large Atlantic waves, which draws surfers from all over the country. Strandhill also boasts a world class 18 hole challenging golf links, seaweed baths and some of the county's finest restaurants and bars. Knocknarea Mountain is a backdrop to the village and the cairn on the summit is the legendary burial place of Queen Maeve of Connacht. A path leads to the summit and takes approx. 45 minutes to walk. Colourful Sligo Town is the largest town in the Northwest and lies at the mouth of the Garavogue River. It was established as a settlement in Viking times and has grown and prospered ever since. Sligo is an important centre for arts with many theatres including the Hawkswell (named after a Yeats play) and the Blue Raincoat Theatre company as well as Art Galleries, including Model Arts and Niland Centre and Yeats Memorial Building. 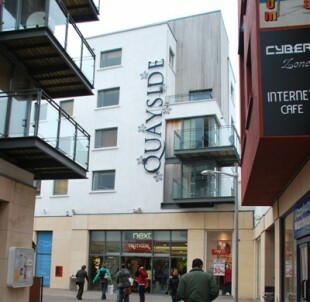 Over the last number of years the town has become a major shopping experience and with the recent opening of Quayside and Johnston Court Shopping Centres, it is fast becoming the shopping capital of the Northwest. Add to this the wide choice of excellent restaurants, bars and nightclubs and you can see why Sligo is well worth a visit. The quaint fishing village of Rosses Point is on the northside of Sligo town and boasts an excellent long, safe and sandy blue flag beach. 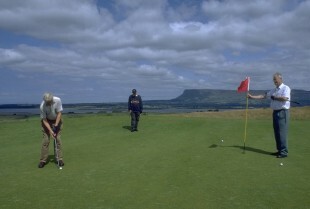 The County Sligo Golf Club, a Championship Links course, is located here as is the Sligo Yacht Club. The village also has excellent restaurants and bars.